Coors was born in the Rockies in the 1870's and in 1978, Coors Light was born. In the relentless pursuit to brew The World¿s Most Refreshing Beer, the Coors family looked to the mountains and to the power of cold. Coors has consistently set the sustainability standard ever since pioneering the Aluminum Can in the 1950¿s. Coors Light is always lagered below freezing to give our beer its cleaner, crisper taste . Every brew of Coors Light is made with traditional two-row lager malt which is made from our unique high county barley and four hop varieties. These are selected for their delicate aromatic properties. Coors has been using the same type of high country barley for decades. Coors Light delivers quality and a history you Can taste. Coors Light is the World¿s Most Refreshing Beer. Grab some game day refreshment for Football, Basketball, Hockey and Baseball. Hosting friends for a seasonal party? 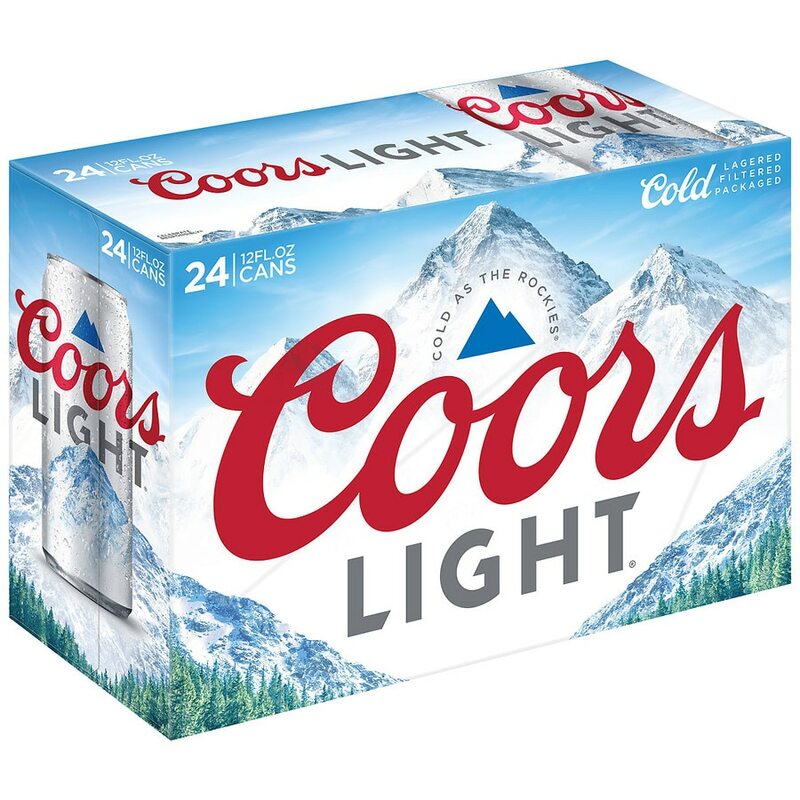 Coors Light should be at the top of the shopping list and served ice cold for St. Patrick¿s Day, Memorial Day, Labor Day, Father¿s Day and Fourth (4th) of July parties. Add a refreshing Coors Light to your cart to prepare for the next exciting occasion - Tailgating, Barbeque (BBQ), The Big Game, Halloween and College Sports. Include this premium light American Lager on your registry or wish-list to share the Worlds¿ Most Refreshing Beer with friends. Coors Light is always lagered, filtered and packaged cold. We are the World¿s Most Refreshing Beer. Coors Light has well-balanced flavor with a malty note, low bitterness and light body. Pairs well with a variety of foods, including grilled chicken wings, pizza or a classic burger. 102 calories and 5.0 grams of carbohydrates per 12 fluid oz. Coors Light is cold packaged at the peak of freshness; our Cold Activated Can signals that ultimate refreshment is just moments away. Coors Brewing Co., Golden, CO.